Cornwall may be famed for its stunning coastline and award-winning family attractions but it’s also home to dozens of top annual events. These events are reason alone to visit Cornwall each year! So, if you can tear yourself away from the beach or visiting the likes of the Eden Project and Blue Reef Aquarium then why not soak-up some local culture and take in one of the many top local events taking place across the county? But, with so many taking place, which ones should you visit? 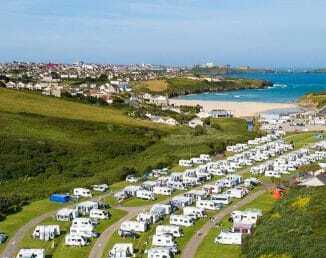 To help inspire you we’ve put together a mini guide to some of Cornwall’s best annual events that are only a short distance from our Newquay holiday park. Billed as the county’s showpiece event the Royal Cornwall Show is a real spectacle. A leading agricultural show, it’s held over three days at the nearby Royal Cornwall Showground near Wadebridge. Taking place in June it has everything from animal classes and rare breeds to flowers and bees plus trade stands, local produce and top entertainment. One of the biggest music festivals in the UK, Boardmasters has grown massively over the years and attracts thousands of people to Cornwall who come to see some of the music industry’s biggest names. Previous years have seen the likes of Snoop Dog perform and 2019 promises to be no different. The best part is that it’s only a short hop from our park! May Day (or ‘Obby ‘Oss Day as it is known) is the biggest day in Padstow’s calendar. The whole town comes alive and its covered with flags and flowers. It is not unusual to see 30,000 people crammed into this little town on the day when Padstonians from all over the world return to their roots. Held at the Royal Cornwall Showground at Wadebridge, the spacious exhibition hall will bring together the stunning floral displays from the CGS Spring Flower Show’s exhibits under one roof for the first time. Enjoy the competitive classes, floral art and floral photography exhibits on display. Taking place in early March, Flora Day is a real sight to behold. After all its not often you seen an entire town shut down and the streets filled with people dancing in their finery, is it? The focus of the day is the ‘furry dance’, a procession of smartly-dressed dancing couples that wends its way up the main street to the accompaniment of the traditional flora dance tune. Another great event that we’re fortunate to have right on our doorstep – the town’s fish festival has gone from strength to strength over the years. It celebrates the heritage and cuisine we have on our doorstep and top chefs from across the region show how to make the most of this bounty, with a chance to watch learn and try some delicious seafood. Head to the south coast and the picturesque town of Fowey for its annual regatta week. Held in August, the event attracts thousands of people for one of the UK’s premier sailing events. There’s also a variety of activities for all the family taking place throughout the town. It takes place from 11th to 14th October this year and is one of Cornwall’s biggest and best-loved specialist food festivals. Almost as unique as the fishing tradition it celebrates, the festival embraces wonderful community spirit and receives generous backing from a variety of Cornwall’s businesses and individuals. If you love seafood then there are few better events where you can indulge until your heart’s content.